bottles are the main heroes! 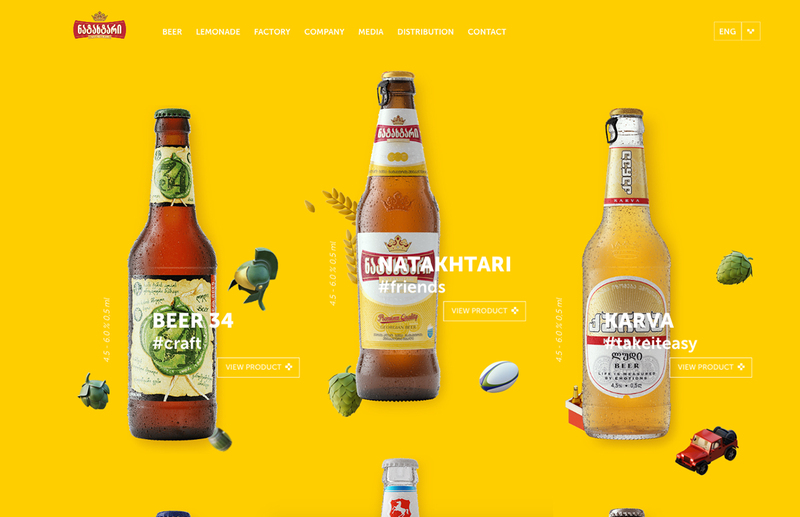 Natakhtari Company is the largest beer and lemonade producer in the country with lots of different brands aimed at various target audiences. 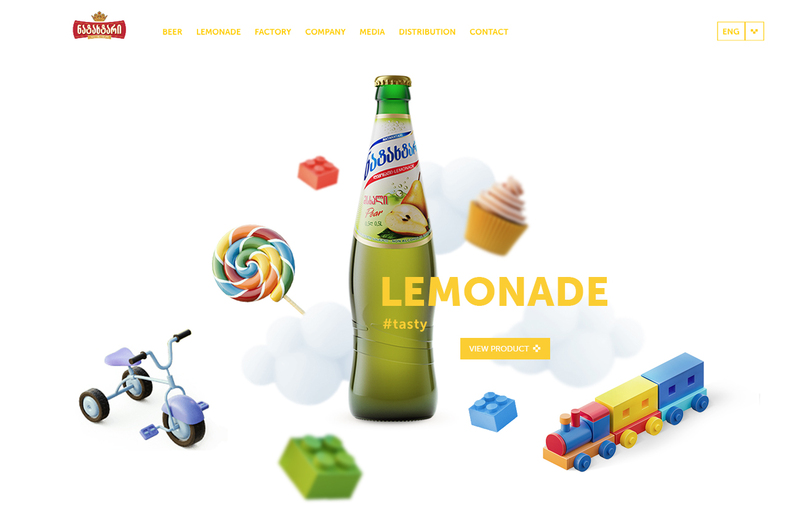 Our task was to create a corporate website to unite all the brands in Natakhtari portfolio without losing their individuality, explain the production process in detail and have a place for all the company related news. The aim of the website is to educate the public about Natakhtari’s various brands and provide a deeper insight into the product for partner companies and students. 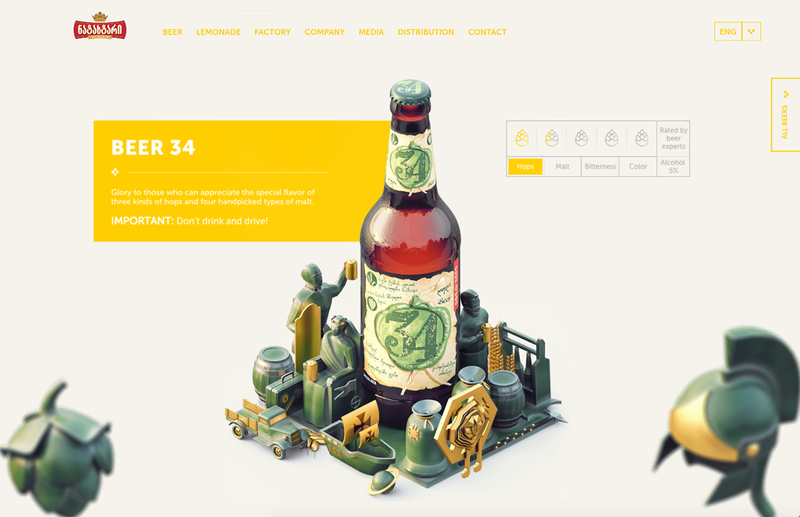 We built an extensive website with built-in landing pages for each unique brand - where the bottles are the main heroes. Each of the microsites comes with a custom 3D visualisation of all the elements associated with a specific product. 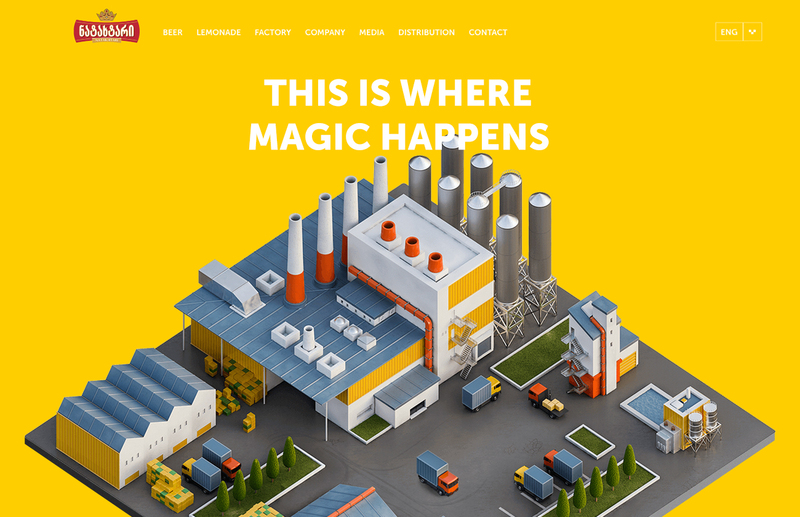 New website gave the company a harmonious graphic overhaul, a shared visual language, and a fresh way to impress the business partners and consumers.